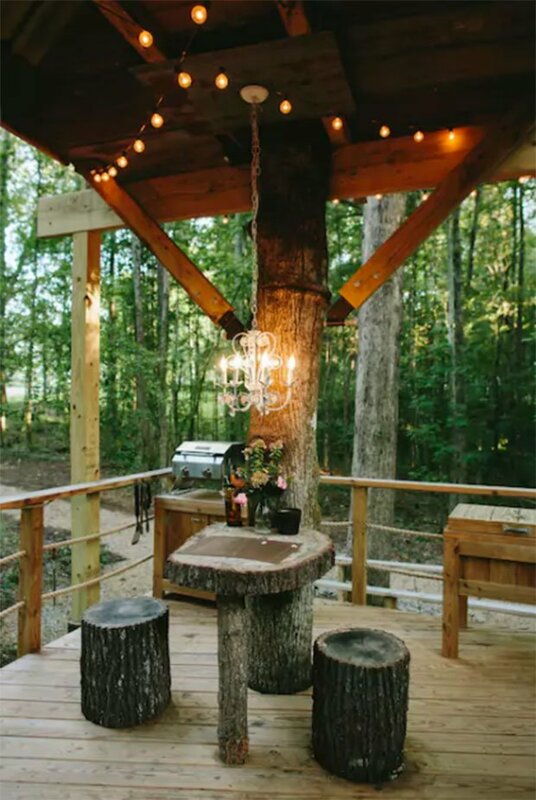 The location of this amazing tree house is Walhalla, CA. 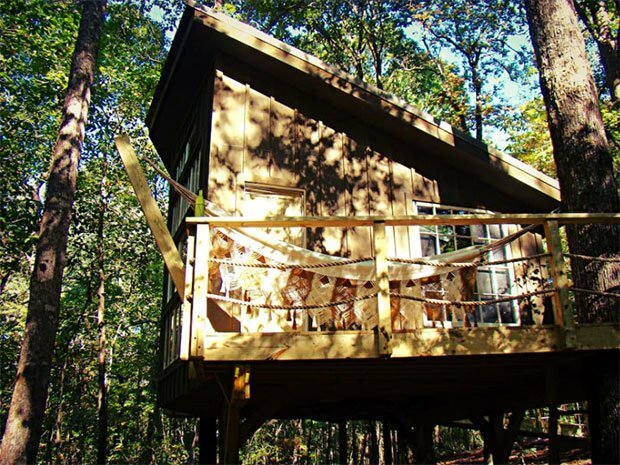 The complex and luxurious structure spreads out on 40 acres of thick woods in which you can have all the privacy you want! You can only get one bedroom, but the amenities you can enjoy in are practically countless. 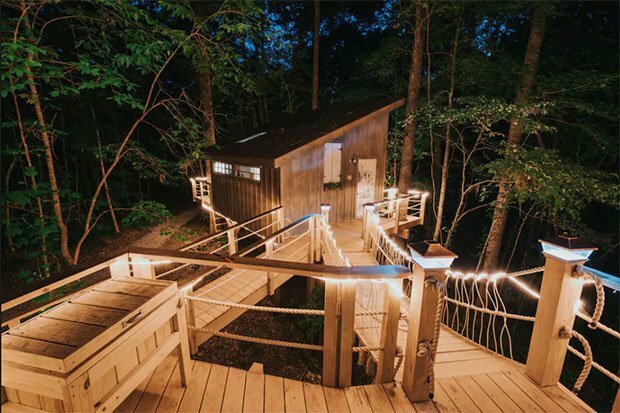 This hideaway is a true work of art which people will travel thousands of miles to stay in, and maybe you would enjoy it too, for $325 per night! 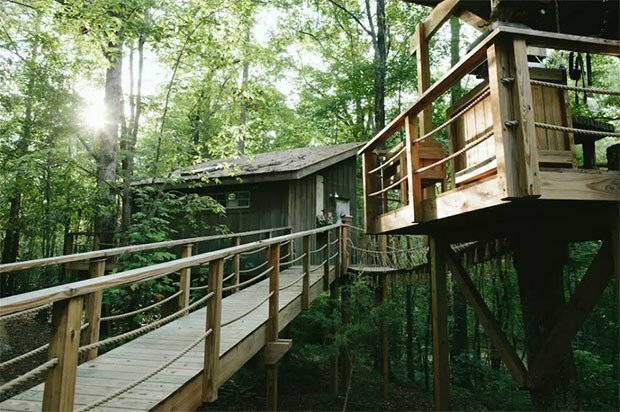 LIVE LIKE KINGS & PLAY LIKE KIDS in this extraordinary treehouse hidden in 40 acres of paradise! 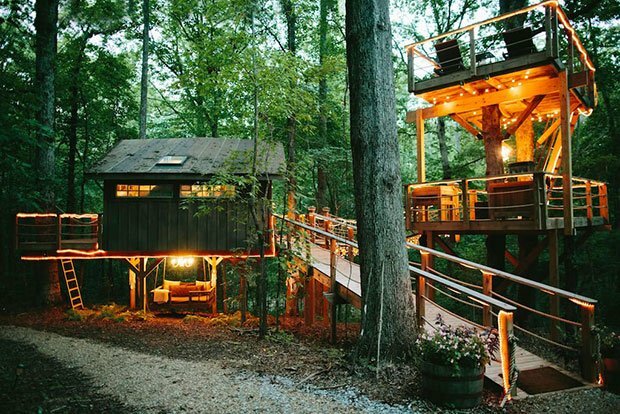 Cozy, whimsical & glamorous; 2 connecting treehouse decks transport you to utopia! Fireplace & AC, indoor plumbing, outdoor shower, record player, antiques!! Unforgettable! Rest & reconnect! A House Named Tipsy The Tiny? 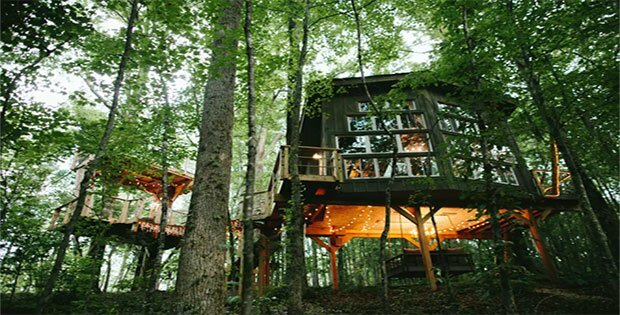 Why, Yes— We’d Love To Stay There!